1. Read, a lot, and read widely. It’s important to read in your genre – to understand trends, learn from the greats – but it is as important to read more broadly because we learn different skills from different genres and types of writing. Poetry is amazing for lyricism and economy with words for example. 2. Write, a lot. Writing is a craft and reading fiction and how-to books is great but practice is vital. And it’s how you discover your voice. 3. 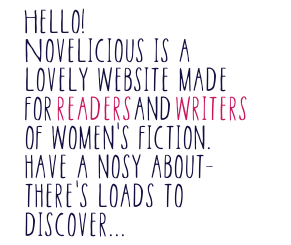 Find wonderful beta readers who will give you honest feedback – not your mum. She loves you; she’ll think any old tripe is brilliant. 4. Draft and redraft and redraft and redraft and redraft … Ensure your script is the best it can possibly be before you submit. Take professional advice. Hire an editor/mentor if your budget allows. 5. Find fabulous cheerleaders – you’ll need them to bolster you when the going gets rough and you’ll need them to celebrate with when the good times come. Redemption Song by Laura Wilkinson is out now.